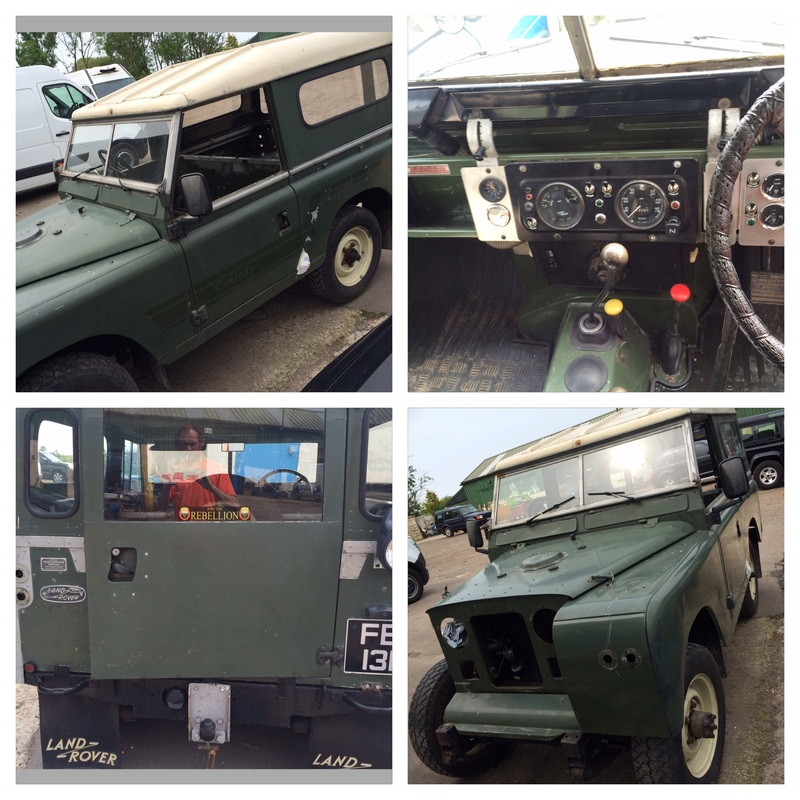 I am not a land rover man. I have driven them on the road and did not particularly like the experience and I have driven some very peculiar vehicles. However they are very good at what they are designed to be – a solid performing go anywhere, robust, utilitarian vehicle and for that I have respect for them. 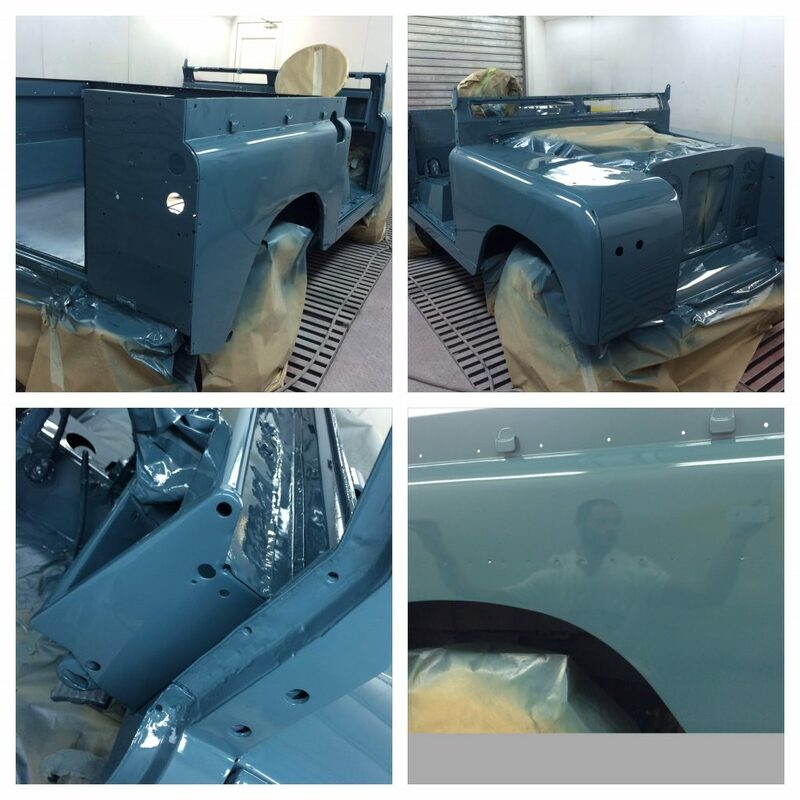 Word of warning… When I was asked to do a land rover I though that sounds easy and straight forward let me assure you that they are not as easy as they look. Perhaps if you just want one tarted up and you can live with those factory wavy panels, aluminium corrosion, dents, rusted visible fixing then yes maybe they can be. But trying to straighten one out, replace all those visible fixings, replacing 300 rivets, and then there’s the parts, rubbers dont fit or are reproduction and so stiff that the doors wont close for 10 years or parts are sold to you as correct and then you find out that they are defender 90 parts and require you to modify all your hard work to get them to fit, you get my gist. 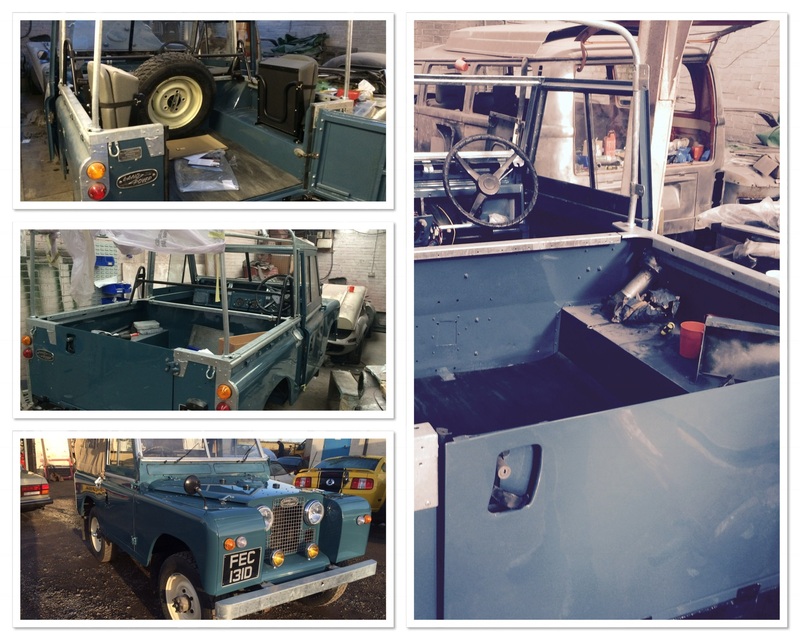 enough of the whining, I actually really licked how we got this classic British off roader to look when she was finally done. I was handed this series 2A and a picture and asked to make her like the one in the picture supplied so that what we done. In the pictures she looks fairly good, and to be fair the bulk head and chassis where excellent and the old flat paint made her look relatively straight with the exception of a few dents. We removed her roof as she was going top less along with the capping (for re galvanising ) and all the interior and exterior fitting. Then we sanded her down to see how straight she actually was and as you can see by the varying shades of green she wasn’t as straight as she looked. We found the rear tub had been filled where something had ripped through the aluminium. So out came the hammers, dollys and oxy acetylene and the process of straitening and repairing began. 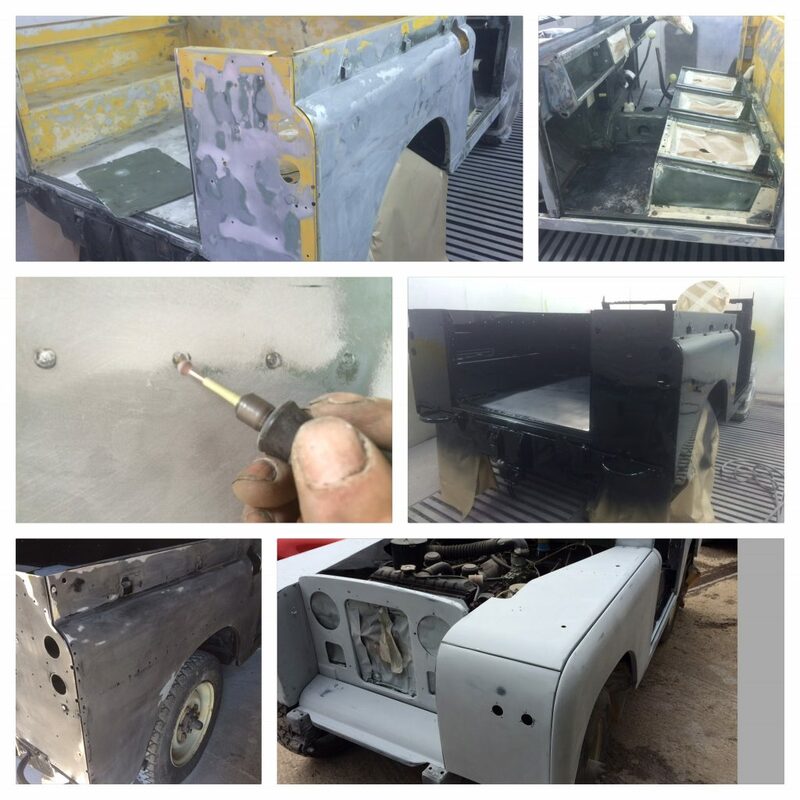 Above are some images of the processes involved. the interior and exterior where sanded done and in some palaces taken back to bare metal mostly where old paint jobs had not adhered and would peel away (definitely not suitable for painting over). 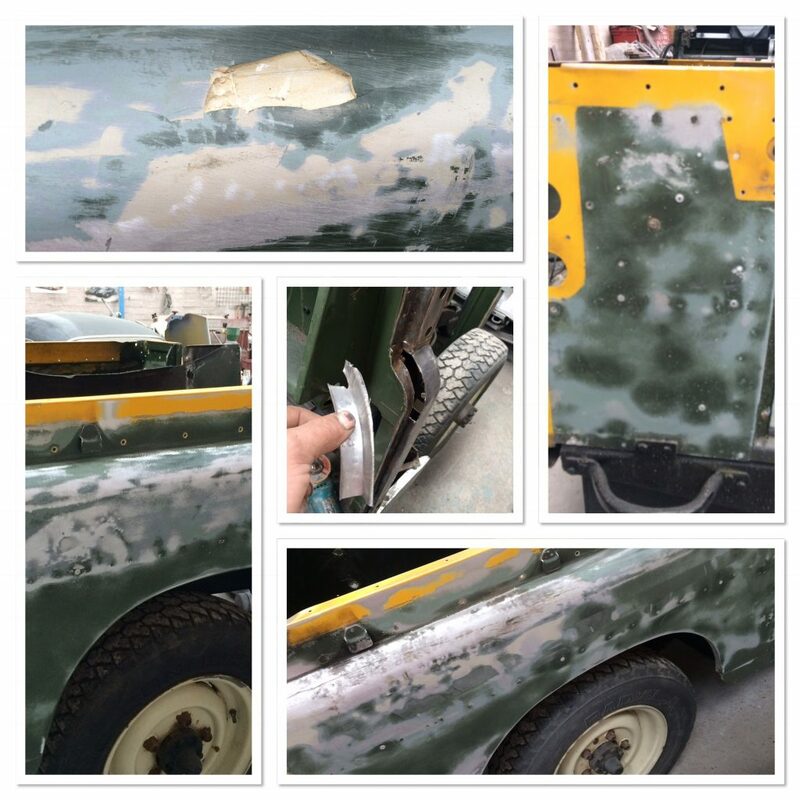 the old spot welds where redefined and some good strong adhesion epoxy primer was applied. The epoxy was then sanded down to reveal high and low areas and the the process was repeated but with 2k high build primers. Colour application was next and we could use the reflections to check the panel levels. In the pictures below you can see the rear door we made. Fairly unique, side opening half door. We cut the the original standard full height door in half removed the front skin, repaired the framework lowered the external handles and hinges and made a new skin replicating the original rolled handle access cut-out just a few inches lower then a standard door to give that factory look Admittedly probably the easiest door skin I have ever had to make. The interior had all new seats, cross bars, spare wheel mount (original mounting on the bonnet left for authenticity), new seat belt configurations, rear stored seating, additional gauges mounted in flushed colour keyed surrounds and of course that cool canvas all courtesy of Exmoor trim (nicely produced products) and of course some retro yellow spots for the front. 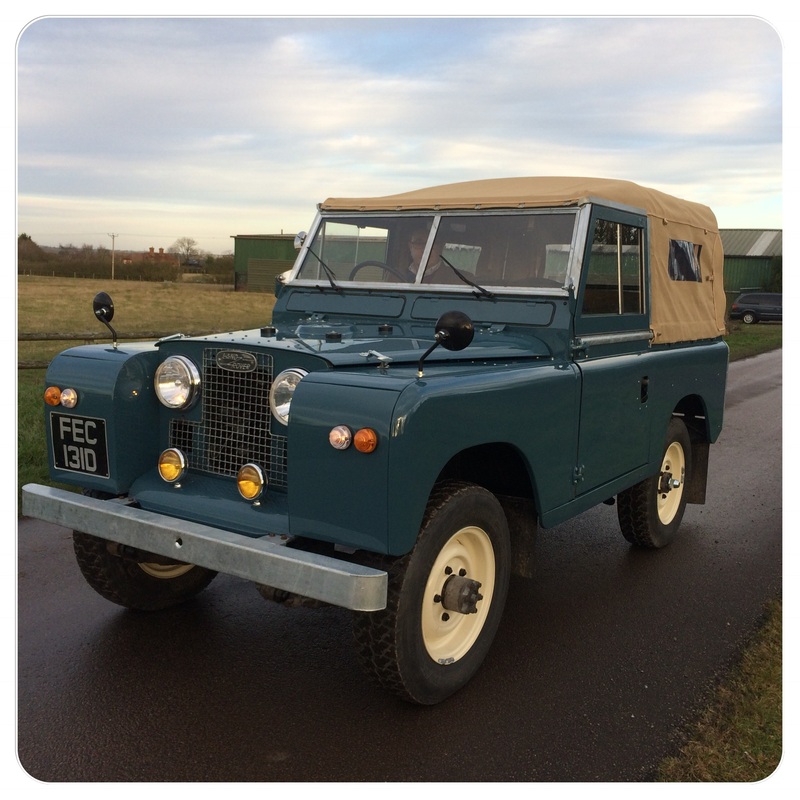 The day she left was pretty overcast but the series 2 still looked good and wonderfully straight for a landy. As for the dull damp weather… well it just just seemed to make her feel a bit more British.